Filipinos are ingenious when it comes to cooking. We have a wide variety of cuisines that have been passed on from different generations. 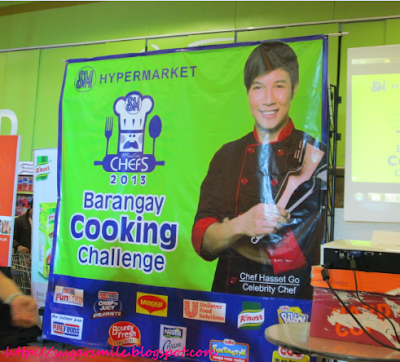 Last September 5, SM Hypermarket launched the Master Chefs 2013 Barangay Cooking Challenge and it marked the beginning of the cooking competitions to be held in all 37 SM Hypermarkets nationwide. Because SM Hypermarket knows that not all great chefs are just in restaurants but also in different ‘barangays’, they can now showcase their talents, not just in cooking, but he/she must wow the crowd as well. How is the Master Chefs 2013 exciting this year? Aspiring contestants must have a flair for cooking while singing, dancing, acting, or anything amazing is a must. SM Hypermarket reinvents the typical chef as they introduce a new breed of super chefs that are not only exemplary cooks but also talented individuals. 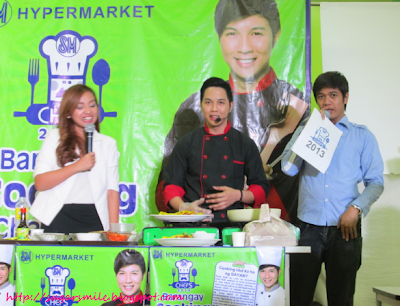 It was launched at SM Hypermarket Cubao and was hosted by Papa Dan of 97.1 Barangay LS and Monica Verallo of Unang Hirit. The Master brands and their reputable chefs Chef Paolo Sia, Chef Kris Alcedo, and, Master Chefs 2013 ambassador, Chef Hasset Go all demonstrated their signature recipes using the participating products. It was a food fest of many sorts, as I also discovered a lot in cooking different affordable and delectable dishes. Master Chefs 2013 also has a new twist, as they will reinvent the Pinoy’s all-time favorites; adobo, sinigang, pochero, kare-kare, chopsuey, Caldereta, menudo, pinakbet, and in the process, discover new ways of cooking the Master Brands. 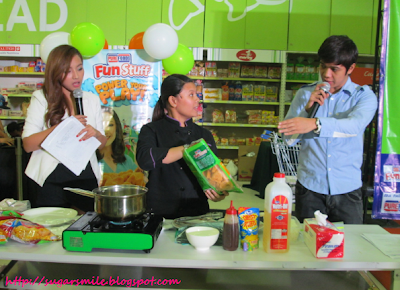 They must be able to use the different products like Nestle All-Purpose Cream, Maggi Magic Sarap and Maggi Savor, CDO Funtastyk, Idol Cheesedog, Bibbo Hotdog, and Ulamburger, Bounty Fresh Gourmet Chicken and Nuggets, Purefoods Tender Juicy Hotdogs, Stuffed Nuggets and Chicken Drummets, and Unilever Knorr Soups and ready mixes – products that truly make way for our traditional dishes to be more healthy and yummy. 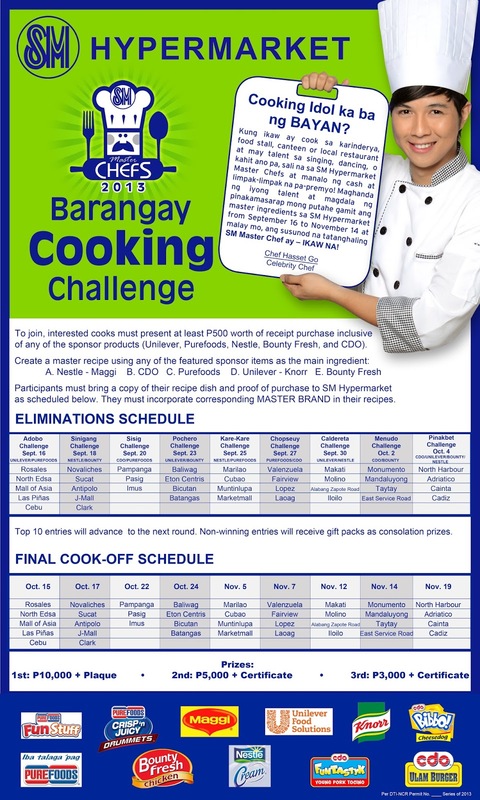 Do you think you have what it takes to be the Master Chef 2013? Join the eliminations now and make the judges be amazed of your cooking expertise and one-of-a-kind talent.